The UK’s small and medium-sized manufacturers saw optimism deteriorate for the first time in over a year, according to the latest CBI SME Trends Survey but it’s not all doom and gloom, we promise. The survey reported another firm rise in new orders, underpinned by both export and domestic demand. Furthermore, while firms still expect to cut back on investment in buildings and plant & machinery, investment intentions for the year ahead haven’t deteriorated materially further and remain above their long-run averages. Growth in headcount and hiring intentions for the coming quarter also remain robust. However, output growth slowed over the past three months, although manufacturers expect a modest pick-up in the coming quarter. There are also signs that capacity pressures are biting hard, with the proportion of firms working below capacity falling to its lowest since April 1989. In addition, the number of firms citing labour shortages as a limiting factor on investment rose to its highest on record (since October 1988). Pricing pressures are also gaining traction, with average cost growth still elevated. However, growth in both domestic and export output prices slowed over the past three months, indicating that manufacturers’ margins are coming under pressure. Costs growth is set to ease a little in the coming quarter, though still run ahead of output price inflation. 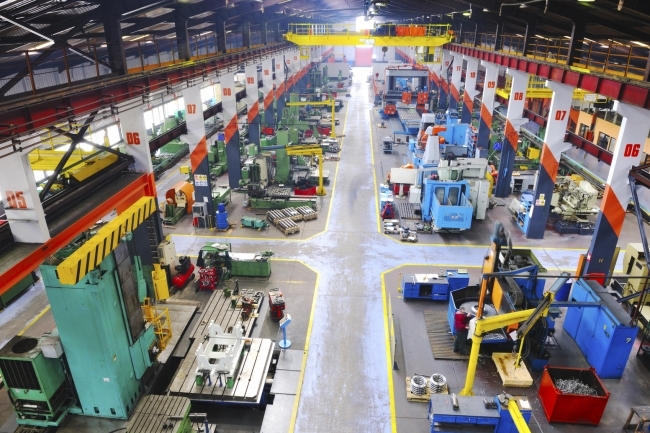 Alpesh Paleja, CBI Principal Economist, said: “The latest survey suggests mixed fortunes for our smaller manufacturers. While growth in new orders has held up and headcount has risen strongly, output growth has lost some steam over the last quarter. Coupled with ongoing pressure from labour shortages, it’s understandable that optimism among manufacturers has fallen. • Investment is expected to be cut back for both plant & machinery (-5%) and buildings (-8%). But both balances remain above their long-run averages (-7% and -17% respectively).